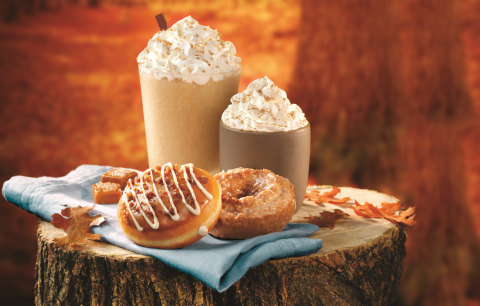 "Our fans crave these seasonally inspired treats, and the pairing of a Pumpkin Spice Latte and one of our doughnuts makes for the perfect comfort food as the weather starts to cool down." 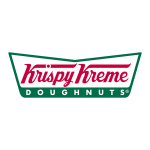 WINSTON-SALEM, N.C.--(BUSINESS WIRE)--Inspired by the savory and spicy flavors of fall, Krispy Kreme Doughnuts today announced a doughnut and beverage line featuring classic tastes such as pumpkin spice and salted caramel. The Pumpkin Spice Cake Doughnut, Salted Caramel Latte Doughnut and Pumpkin Spice Latte are now available in participating shops in the U.S. and Canada through Nov. 24. 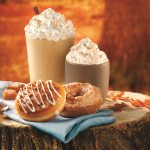 Krispy Kreme’s pumpkin flavored products have been appearing seasonally in shops for more than a decade and are frequently noted by our guests as one of the best ways to get a pumpkin fix throughout the season. 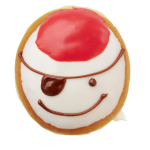 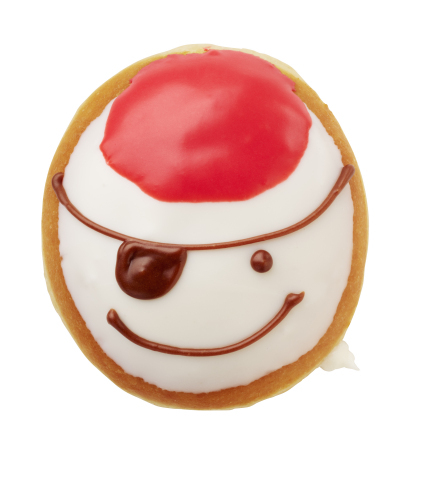 Fans wishing to get their Talk like a Pirate Day bounty early will get their chance, as Krispy Kreme Doughnuts announced two Pirate Doughnuts available today. 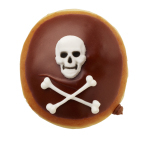 The Pirate Doughnut and the Skull and Crossbones Doughnut will be available through Sept. 19.